THE KAMLOOPS Central Business Improvement Association (KCBIA) is a non-profit organization dedicated to maintaining a vibrant and livable downtown. The Customer Care and Patrol Team was established in 2004 (two years after the KCBIA). We are proud that over the years the team has had the opportunity to grow into so much more than just ambassadors for Downtown. Through the CAP Team Program, the KCBIA has had the opportunity to make positive impacts in our community and with the youth that have gone through our program in our city for the past 14 years. Throughout the past 14 years we have been dependent on the help of our dedicated sponsors to keep the CAP Team up and running. We are extremely proud of our neighborhood and everyone that has chosen to be a part of it! 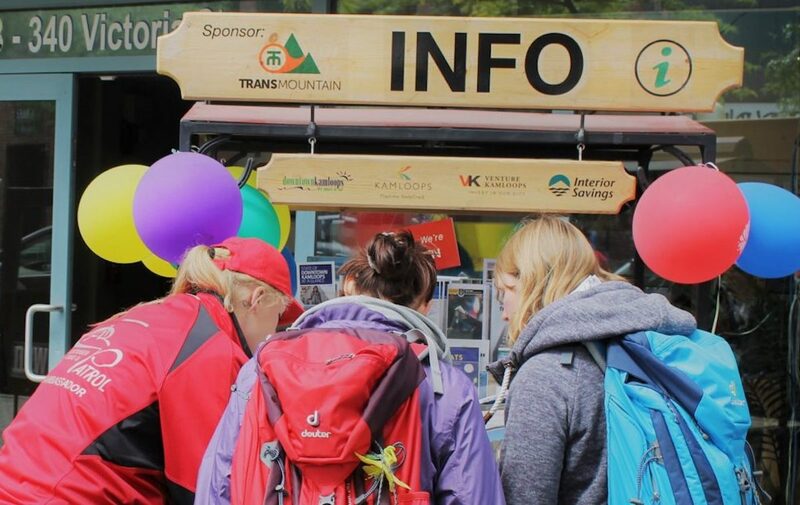 Partnerships are key to the success of events and programs that we organize in Downtown Kamloops. Due to the broad nature of a CAP Team member’s responsibilities, a wide skillset is developed that creates very well-rounded individuals. Previous team members have gone on to careers in a variety of disciplines including: law, corrections, policing, national defense, engineering, tourism, municipal government, social outreach, community health, and nursing. The Kamloops Central Business Improvement Association looks forward to continuing this program and seeing what the rest of the year will bring! If you have any questions for the team, don’t hesitate to ask one of our team members! You can find them in red in Downtown Kamloops and on the North Shore! 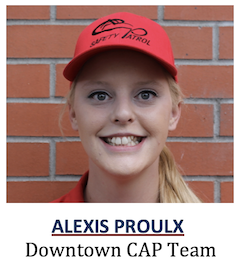 This article was written by Alexis Proulx, the Customer Care and Patrol (CAP) Team Supervisor. Reach the team at 250-572-3008/3009 or the Customer Care & Info Centre at 250-572-3017. Email capteam@downtownkamloops.com. Follow on Facebook, Instagram (Downtownkamloops) and Twitter (@downtownkamloops).